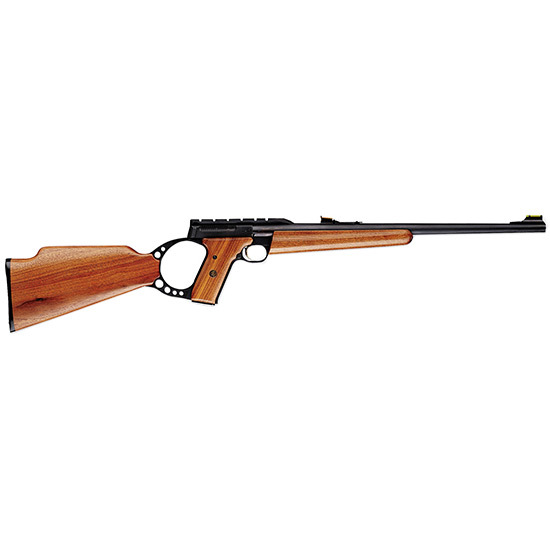 Browning 021026102 Buck Mark Sporter Semi-Automatic 22 Long Rifle 18 10+1 Walnut Oil Finish Stock Blued in. The Buck Mark Sporter features a target crown matte blued finish tapered sporter barrel an oil finish walnut stock integral scope rail and TrugloMarble s adjustable fiberoptic sights detachable box magazine blowback semiautomatic operation and a single action trigger. The frame is machined from a solid block of 7075T6 aluminum for strength and longevity.